A crime commissioner has suggested that all frontline officers should be equipped with overdose kits to help tackle the soaring numbers of drug addicts who are dying on UK streets. With more than 2300 people dying from overdoses last year, Hardyal Dhindsa – the police and crime commissioner for Derbyshire – says officers should do more to intervene. They should routinely carry supplies of naloxone, a chemical that can quickly reverse the effects of an opiate overdose, he says. However, some officers have expressed concern about the proposals. 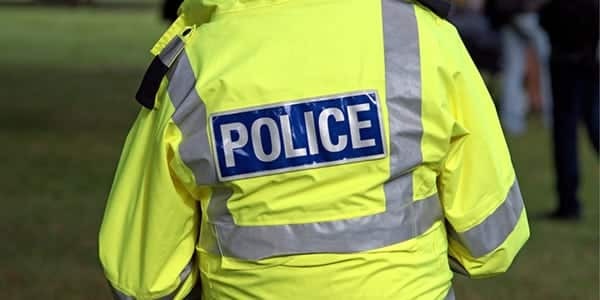 The Police Federation has warned that while the priority for all officers is to save lives, they cannot continue to be expected to take on roles that trained medical professionals ought to be doing. Surely a medical emergency would require the immediate attendance of paramedics or a healthcare professional and not a police officer, they query. Mr Dhindsa, who is the national lead on substance misuse for the Association of Police and Crime Commissioners, said more people were dying from heroin and other drugs than from road accidents but many of the fatalities were preventable. Administering naloxone could reverse the effects of a heroin overdose. Mr Dhindsa urged more research into the effectiveness of supplying naloxone nasal sprays to police and said he would meet with the Police Federation to talk through their concerns. Naloxone is increasingly being used by police and other emergency workers in the USA, where there has been an epidemic of opioid-related overdoses, with more than 72,000 fatalities last year. Since March 2017, New York City Health Department has handed out more than 139,000 Naloxone overdose-rescue kits and bolstered overdose training for emergency responders and medical professionals. Nearly 1500 people died of drug overdoses in New York City last year, setting a record amid the opioid epidemic. Meanwhile, a recent study of people who use drugs in New York City has highlighted how they have adjusted their behaviours to avoid overdose. The findings, published in the International Journal of Drug Policy, demonstrate a high level of understanding of ways to prevent an overdose. Experience with naloxone was widespread and over two-thirds reported carrying naloxone with them at least half of the time. Several people reported being revived with naloxone or using it on others.